Provide comfort for the family of Doris Barnes with a meaningful gesture of sympathy. I'd like the memory of me to be a happy one. I'd like to leave an afterglow of smiles when life is done. Of happy times and laughing times and bright and sunny days. 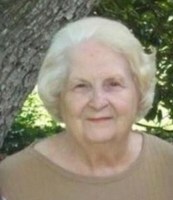 Mrs. Doris Cain Barnes, 91, of Ft. Lauderdale, FL., passed away on Friday, March 15, 2019, at the Kitty Askins Hospice Center, Goldsboro, NC. Services of Love & Compassionate Care have been entrusted to Serenity Memorial Funeral Home & Cremations, LLC. To send flowers in memory of Doris Barnes (Cain), please visit our Heartfelt Sympathies Store. We encourage you to share your most beloved memories of Doris here, so that the family and other loved ones can always see it. You can upload cherished photographs, or share your favorite stories, and can even comment on those shared by others. Proudly Serving the Community of Eastern North Carolina; No distance is too far.